Welcome to Cambridge Legaspi Makati! 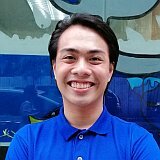 Teachers of Cambridge Legaspi Makati! Teacher Nicole is a passionate, adventurous and detail-oriented person. Though reserved and quiet, she loves the company of kids and enjoys spending time with them. During her spare time, she loves reading classical books, listening to music and doing arts and crafts. 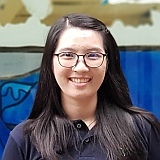 She is currently pursuing further studies in University of Philippines (Diliman). She was a former teacher in Binondo and Congressional before becoming the directress of Legaspi. Before she was a teacher, Teacher Kit handled assessments for a management consulting firm. During her first year in teaching, she handled Toddler and Kinder classes. Teacher Kit is a bit shy, but her love for kids and learning always help her shine through. She loves food, colorful pens, and trying different things and exploring wherever she goes. 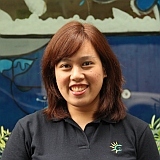 She is a licensed Psychometrician and a graduate of BS Psychology from Centro Escolar University – Manila. On top of her college degree, she has earned her teaching units at Far Eastern University. Creative and resourceful best describe Teacher Paula when she is teaching. She is very passionate with her crafts and takes pride knowing that she has been part of her student’s growth and development. During her spare time, she enjoys painting, photography, videography and football. 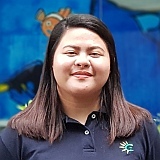 She is a Bachelor’s degree holder in Early Childhood Education from De La Salle University. 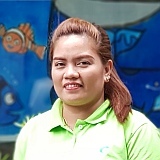 Teacher Angel, enjoys getting to know kids and helping them learn through play. 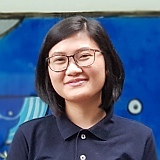 Graduated with a degree in Family Life and Child Development from the University of the Philippines (Diliman), she believes that each child is unique and to be respected by his or her individuality. When she is not busy with her students, she can be seen engaged in a book, travelling with family and friends, or just looking forward to the next adventure that awaits her. She also loves to read about cooking and lifestyle, and browsing through architecture and interior designs on the web. Besides being a preschool teacher, Teacher Ian is also an actor, director and a theatre arts teacher. 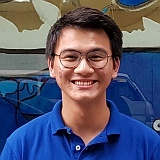 During his spare time, you would see him in a coffee shop writing stories or plays and often spends time working with local communities to bring about social change and improve the lives of those who are marginalized through arts and culture. He earned his bachelor's degree in Production Design from the De La Salle - College of Saint Benilde. Teacher Ian believes that every child has within themselves something precious and unique. Teacher AD is that wide eyed passionate teacher ready to take on new knowledge and skills. He is great with kids and can keep up with their high energy. During his free time he manages a blog about lifestyle, travel and food. He graduated with a degree in Consular and Diplomatic Affairs in De La Salle College of Saint Benilde. He believes that teaching is his chance to help kids reach their full potential.